Ever wanted to say that ? Know someone who does? Well now you can with this unforgettable Christmas offer! Jump in the captain’s seat, take to the simulated skies and learn to fly with Icarus Simulation Limited. A one-hour flight simulator lesson lets you experience the thrills of flying – all without ever leaving the ground. 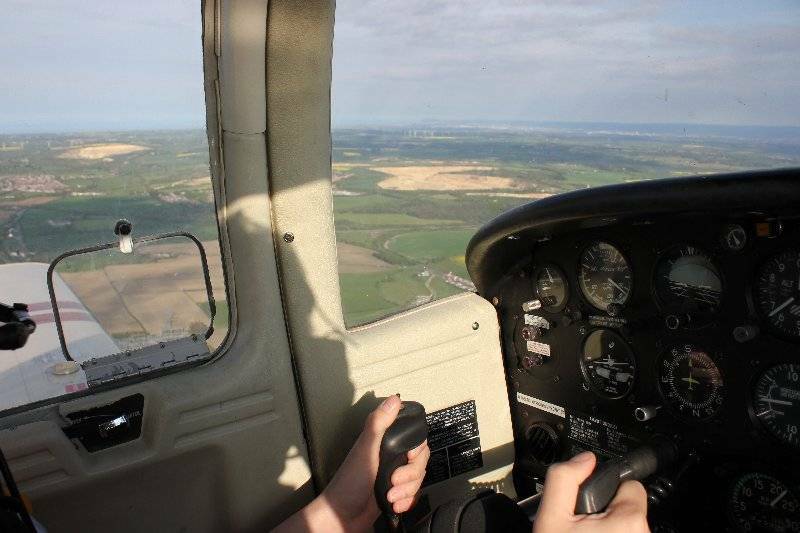 During the lesson your personal instructor will help you to get to grips with: flight controls; take off, climbing, descending, turning, approach and landing; basic instrument flying and bad weather landings; function and use of flaps and undercarriage, and much more! We’ve teamed up with Icarus Simulation Limited this Christmas to bring you a 20% discount on their one hour lessons. Simply book via this link and use “xmassparkle” at the check out to claim the discount. What’s more, as the facility is predominantly used to train real pilots, the simulator can be used to train all aspects of light aircraft flying; so, if you do have previous experience you can let the instructor know in advance if you have any specific training requests and what you’d like to get out of the lesson. Take to the skies and spoil the aspiring pilots in your life this Christmas! *The offer is applicable to the junior (£49) and adult (£79) one-hour lessons and ends on 5 Jan 2017. Next Post Wood you look at the time?..